If you’re ever in Paris, take a stroll past their famous headquarters location to see where it all goes down. Please visit our Louis Vuitton Store Locator page here. 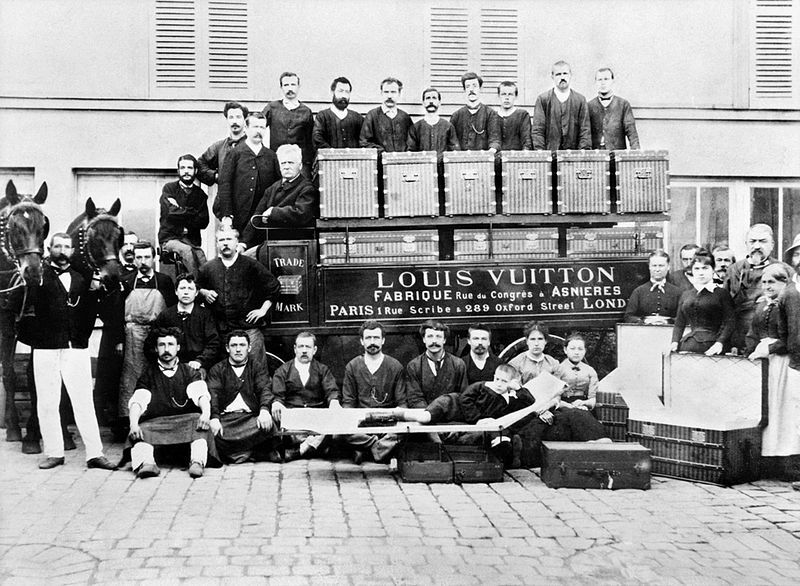 In 1835, Louis Vuitton split from his farm upbringing and headed to Paris. At the tender age of 16 years old, Louis began an apprenticeship that would change the Vuitton family’s destiny, and make him the household name he is today. 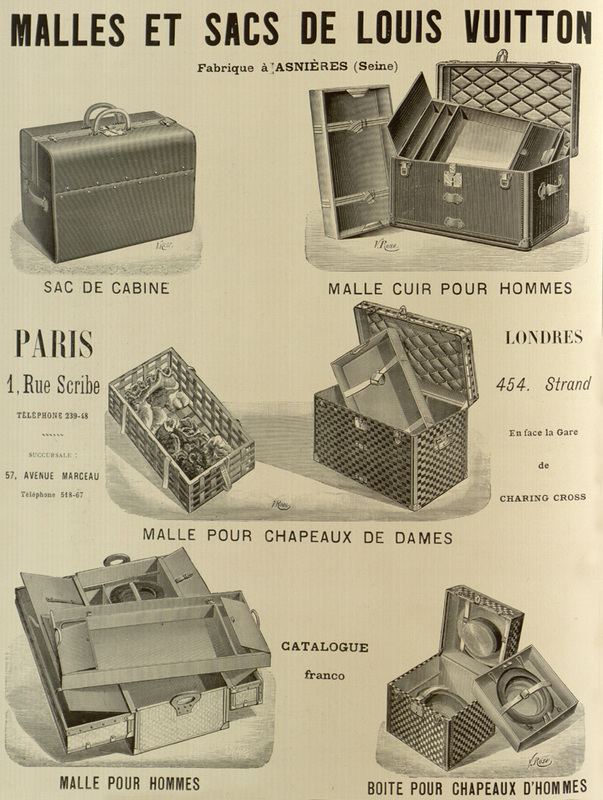 Thanks to box-making being such a big deal in the 1850’s, teenage Louis began building a reputation amongst the Parisian upper-class for packing custom-made boxes. 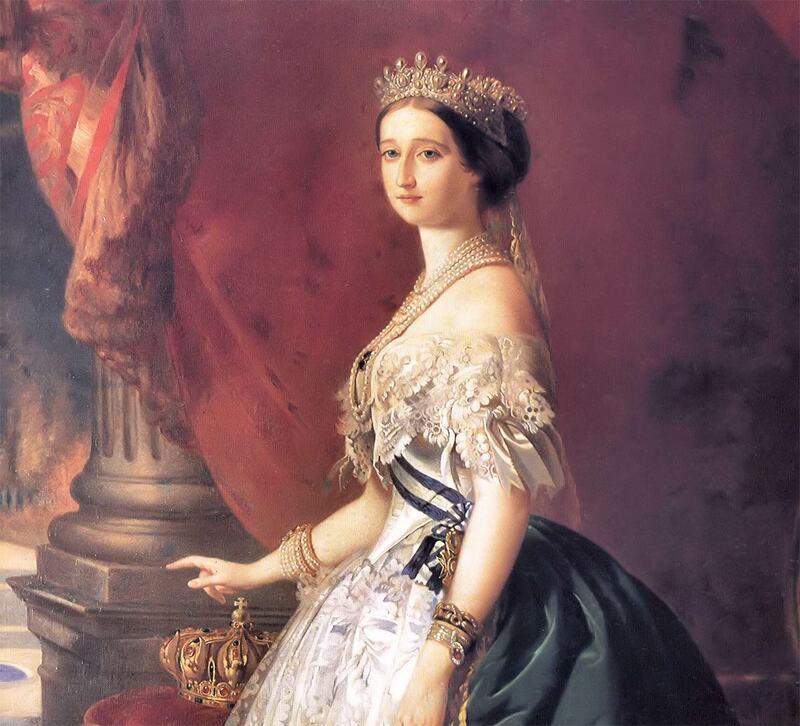 Napoleon III’s wife hired him in the early 1850’s as her personal box-maker and packer, and this was the final push he needed to break into aristocracy. It was in 1859 that Louis Vuitton revolutionized trunk making when he changed the style from dome-shaped to rectangular, and crafted them out of canvas instead of leather. 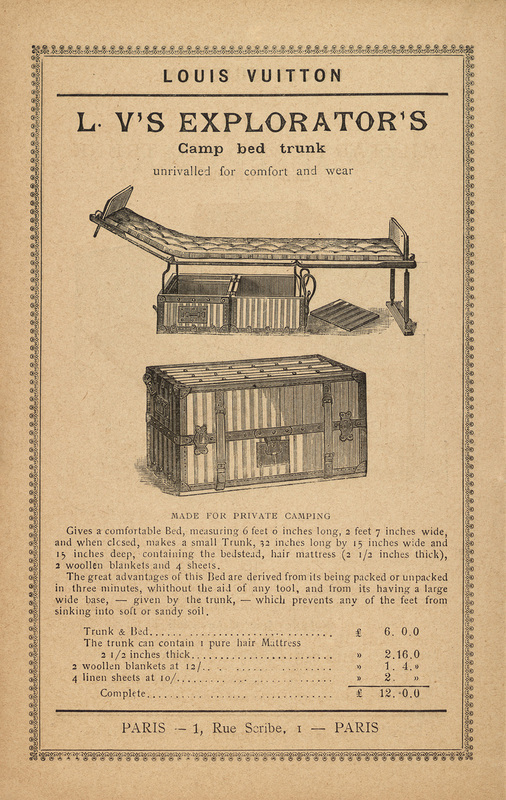 Vuitton’s trunks were lighter, more durable and more convenient for stacking. What’s the big deal about “stackable luggage”? 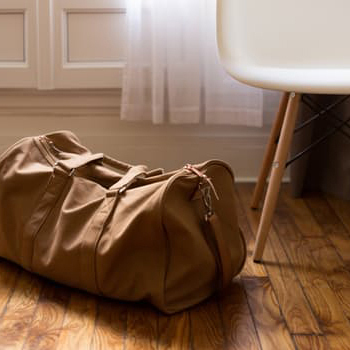 Back in those days, travelers who would go on ocean voyages would use luggage trunks to store their belongings for long trips. Having your luggage waiting outdoors would be troublesome since your luggage could get rained on for hours at a time. Additionally, being able to stack your luggage was a lot more convenient than having it spread out all over the docks. With a gusto he carried with him all the way to Paris, he focused on luxurious luggage manufacturing after the French civil war gave him several setbacks, and he began a Vuitton legacy that continues. The iconic overlaid L and V monogram that is the signature symbol of the brand is taken from its creator Louis Vuitton, but was created by his son George in 1896. From luggage to purses, and now to shoes, sunglasses and other accessories, that LV is the mark of luxury. Of course, as the classic saying goes: “more money, more problems”, and since Louis Vuitton became a representation of affluence it also became the target of imitation. The LV monogram pattern was George’s first attempt to thwart replication. Counterfeiting is not a novel occurrence. And it is up to the consumer to ensure that the money they are spending is worth the product. While most brands go to great lengths to differentiate their merchandise, sometimes an imitation can fool even the most discerning eye. Fortunately, Louis Vuitton’s quality of construction and features are difficult to reproduce and there are some simple ways to detect if your bag is authentic or an imitation. Louis Vuitton bags come in several different styles and materials. 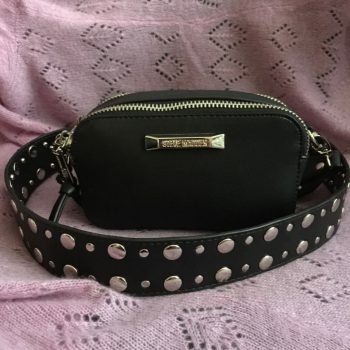 Most of the purses are in either a soft leather, a monogrammed canvas, or some rare leathers: like python leather or alligator skin. One of the first ways to authenticate your Louis Vuitton bag is to thoroughly inspect the overall quality of the material. 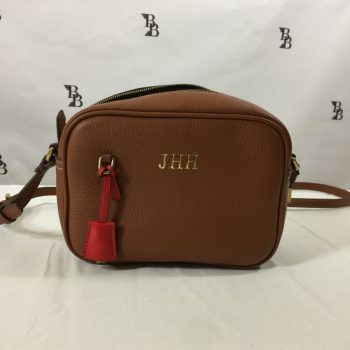 More times then not, an imitation designer bag will be made of a sub-par plastic material that is a stiff mockery compared to genuine leather or polished canvas. Generally the sheen will be noticeably different; instead of a soft shine it will be more matte. Besides the look of the material, the feel of the material can be a dead give-away if you are carrying around reproduction bag. Plastic replicas are not nearly as soft and supple as leather or even as flexible as canvas. Another fake-Louis generalization is that they will be stiff and not forgiving. If you’ve been fooled by a purse’s fabric there are a couple more intricate ways to authenticate your Louis Vuitton. Let’s start with the hardware. Louis Vuitton bags feature brass or gold hardware that will either have an imprint of Louis Vuitton written out or just the LV logo. If the hardware is a painted plastic, this is your first red flag. Hardware on fake Louis bags could be lightweight and may already have chips, discolorations, or bubbles in the imitation coloring. The engraving on the hardware of an authentic bag will also be very clean cut, detailing the letters crisply and cleanly. Now not all hardware pieces on authentic Louis Vuitton bags will have an engraving, so do some research on your style of bag to ensure if there is supposed to be an engraving there is one. Louis Vuitton represents luxury and high society, so you can expect that the construction of each product will be flawless. Stitching is exact – they are all full stitching (all stitches are same size, no half stitches), evenly spaced and of thread of quality (thick and particular color). Every Louis Vuitton with a monogram will have one of the “LV”‘s centered on the bag since a single piece of fabric is used. Take for instance, the Speedy handbag, the “LV” is upright on one side and upside down on the other. The fabric is cut precisely so that the print is centered and equal on both sides. Each bag is stamped/embossed with a code/date somewhere, depending on the bag type. For the Speedy – they stamp the leather with a location code of where the bags were made (i.e. Spain). Other bags come with a serial code which can be used to be authenticated at a store. All Louis Vuitton bags come with dust cover. Even Louis Vuitton luggage comes with a cover to protect the luggage during transport, which is funny since Louis Vuitton made a name for themselves for their rugged luggage. The largest Louis Vuitton store in North America is in Las Vegas, Nevada. The store is 1,600 square meters. The outside wall of the store is “coated” in 4,600 LEDs that show a 30 minute brand reel.